Few things are quite as sad as when a beautiful musical instrument becomes too old or damaged to be used. 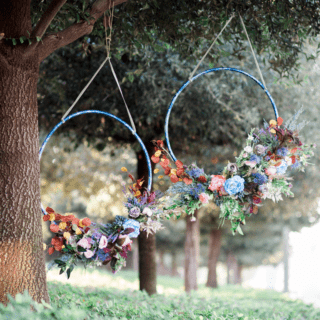 The idea of throwing something so artistic out feels so wrong! This is especially true when if comes to big, intricate instruments like standing or grand pianos. 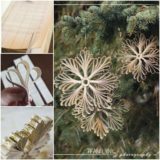 Luckily for us DIY enthusiasts, however, there ways to salvage what you can of such an instrument in order to give at least parts of the gorgeous original a new lease on life. The projects might not be easy, but they’re worth paying homage to the music! 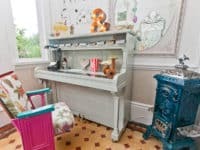 Check out these 15 gorgeous upcycling projects that will preserve at least part of your old piano and help you create a gorgeously musical aspect to your space! 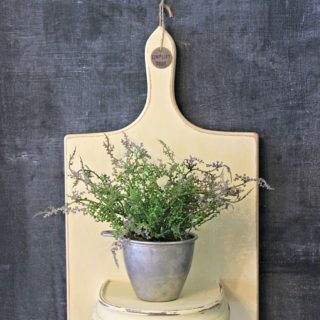 We absolutely adore the way that this repurposing idea from Trend Hunter merges artistic and practical elements. 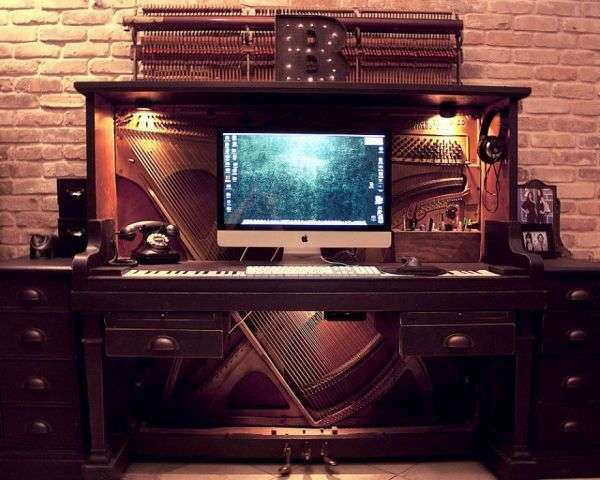 Using the wooden framework of an old standing piano to store tools lets you appreciate more than one type of creativity while you work! 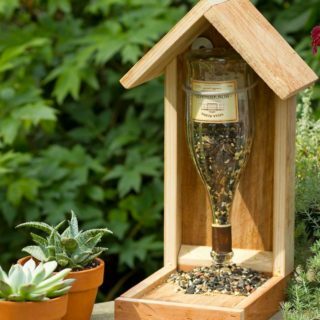 Have you been looking for a mini bar idea for your patio or poolside that’s a little more unique than what you’ll find in stores? 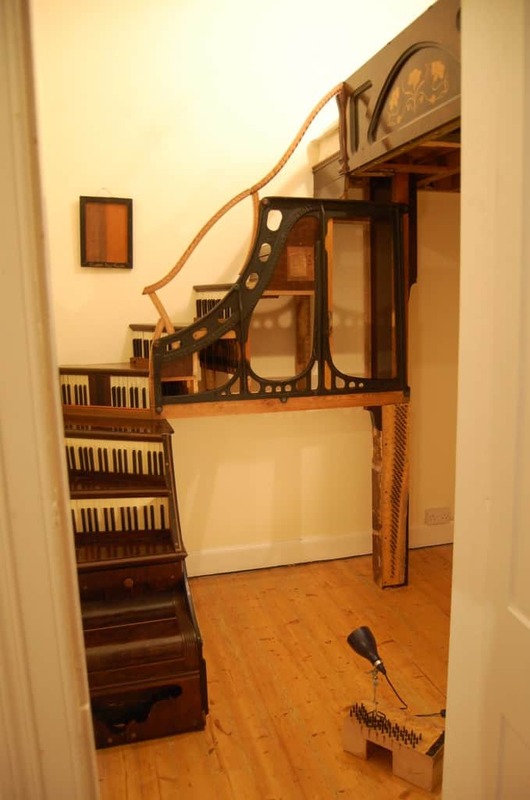 Little Things suggests using a standing piano! 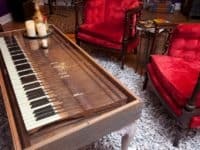 Because you’ll be hollowing it out and removing the strings and keys, it’s best to use one that’s damaged internally and can no longer play music. 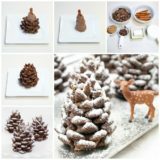 Do you run a small business with a quirky, playful aesthetic? 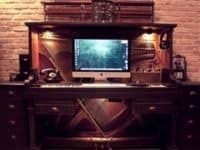 Are you looking for ways to make your front office look more interesting and inviting? 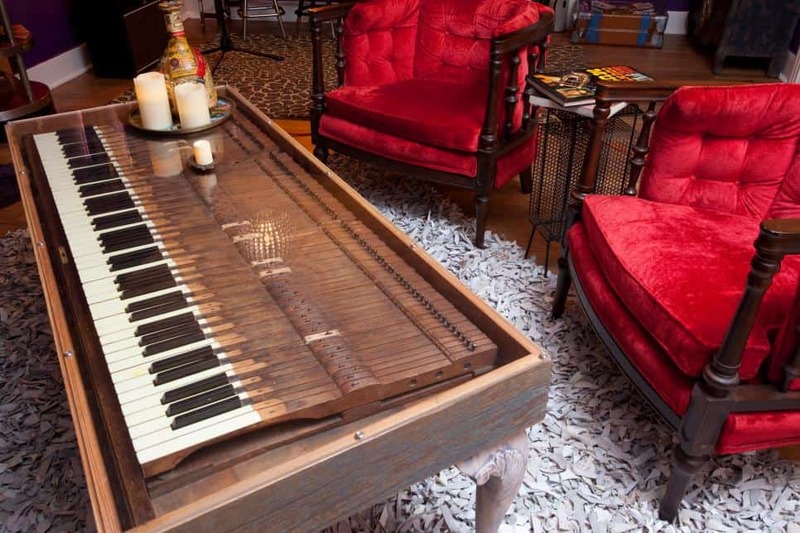 We certainly think the way Rosebery Hotel turned an old standing piano into a “welcome” desk is a perfect touch! We’re especially fond of how the keys have been covered by glass rather than removed. 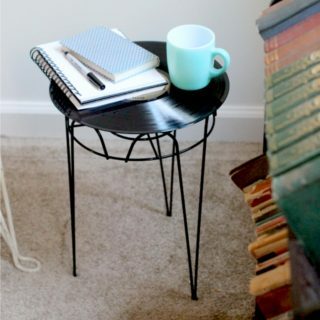 Trend Hunter has an alternative desk idea for you in case you need one that’s a little bigger and more functional than the cute welcome desk above! 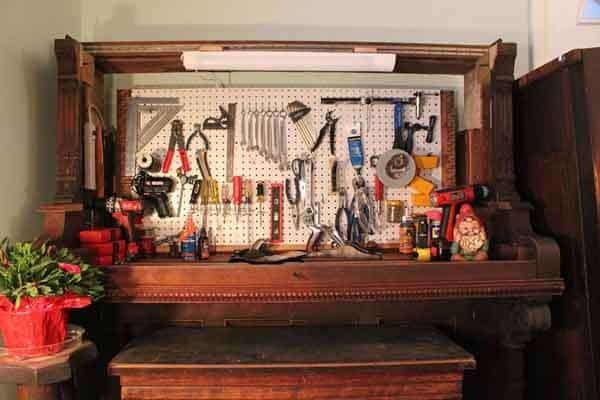 This one features additions on each side for more desktop space, as well as a couple of drawers for desk storage. 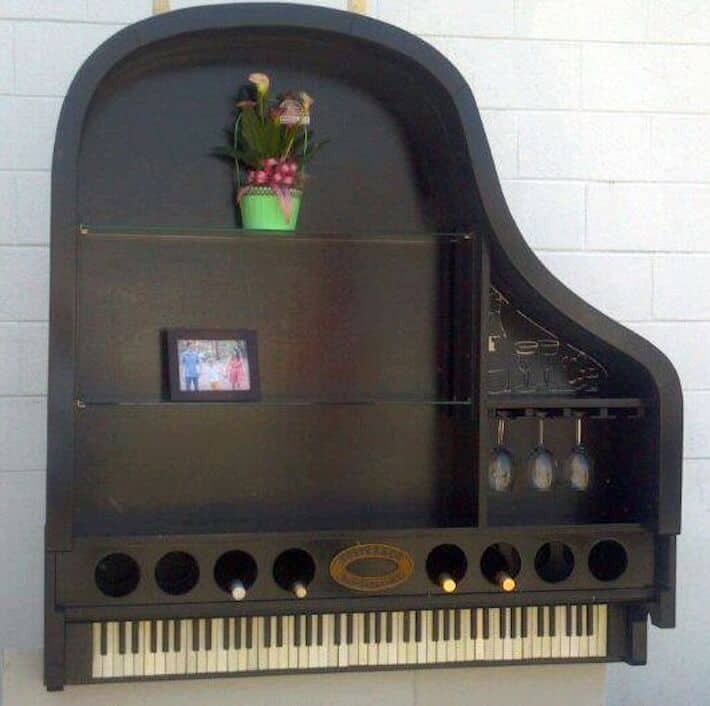 Is your piano in rather rough shape, with no many pieces that are actually salvageable? There’s still hope! 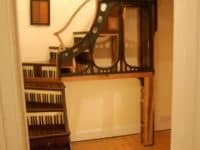 Morgan Cafe suggests using just the wooden frame from the standing back to create a beautifully decorative headboard that will give your room a unique, musical quality, even though the piano doesn’t play anymore. 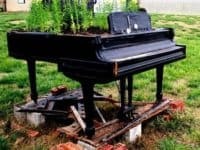 If your yard is large, green, and stylishly rustic, then this grand piano planter by My Piano Friends is the perfect DIY upcycling project for you! 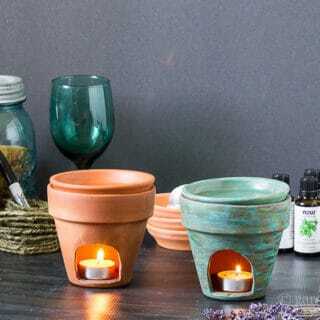 Hollow out the back completely and fill it up with dirt and flowers to create an interestingly contrasted aesthetic between nature and humanity. 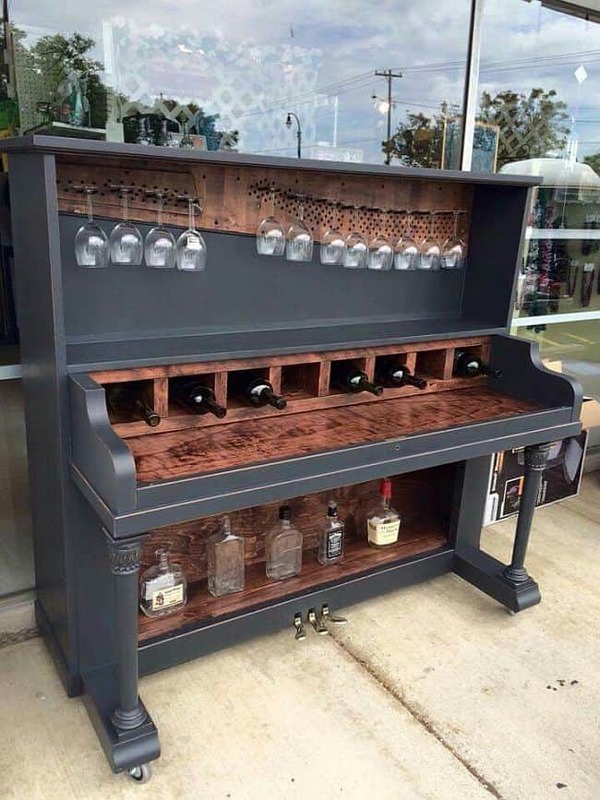 Perhaps the frame of your piano is broken, but the keys inside are still in good shape? 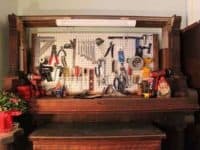 DIY Network has a gorgeous idea for displaying those keys in a way that’s both pretty and practical! 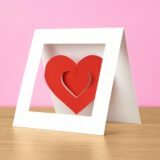 Setting them into a wooden box frame and covering them with a pane of glass lets you see the keys through the top of the table as you use it. 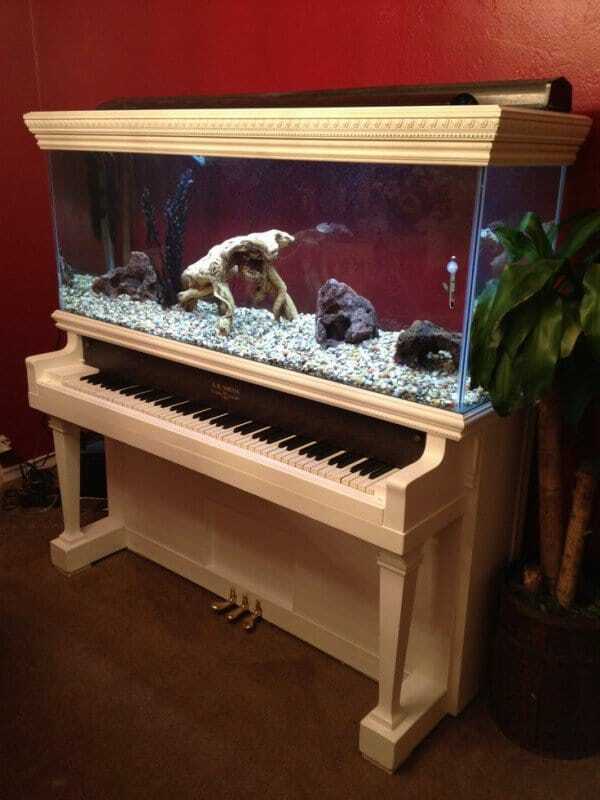 Are you a fan of music but also of aquatic life? 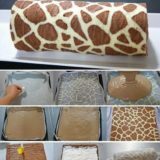 That might sound like a funny combination at first, but we think you’ll love the finished product just as much as we do! 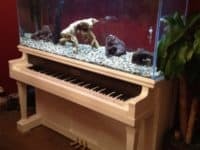 Building a lit aquarium into the back of a standing piano like Recyclart gives you a definite statement piece that guests will love gazing at. 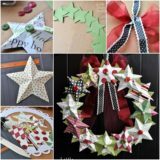 Are you handy with tools and feeling very crafty? 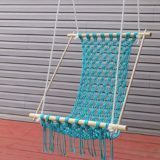 This look is a definite challenge, as its built right into the wall and must be able to support a lot of weight, but the finished product is stunning if you’re willing to put in the time and work. 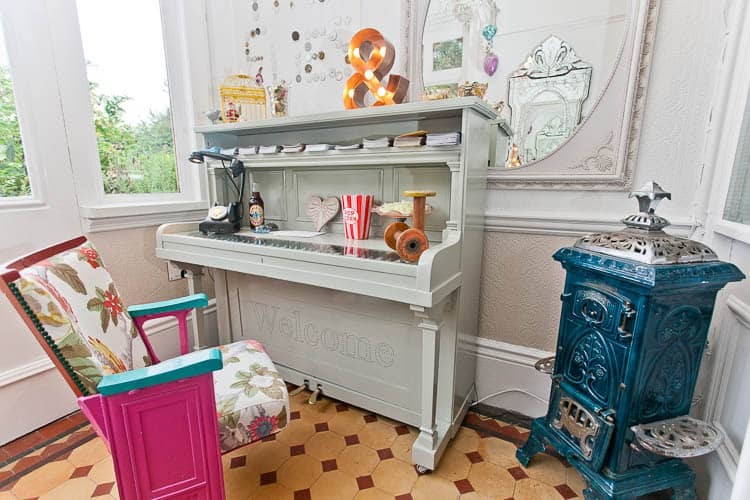 It’s also a great upcycling project because it repurposes nearly every piece of an old piano! 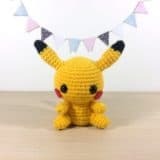 Check it out on Kilometer Zero. 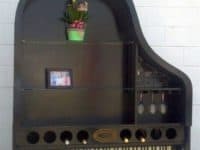 Are the frame and keys of your old baby gran piano still in good shape, but the inner workings are what’s damaged? 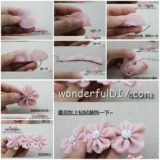 You can still used the outer pieces! 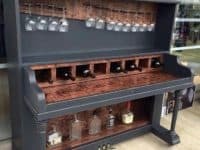 Take a look at home Home Jelly turned the piano on its side and built a shelving unit with circular cubbies for wine bottles inside. 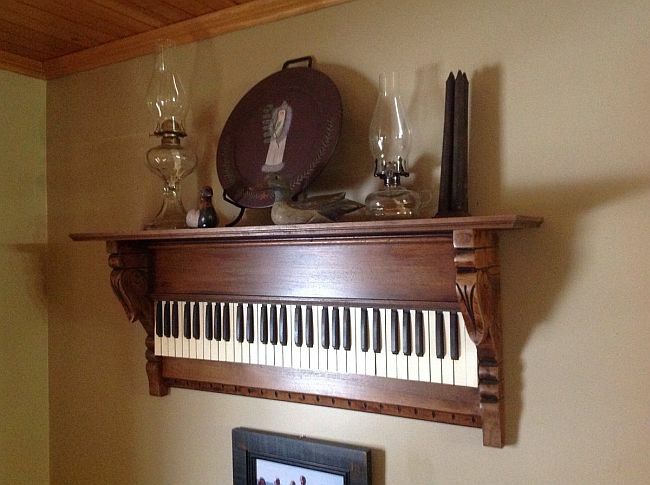 Perhaps the only part of your piano that’s worth reusing is the keys? 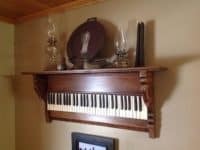 Try following in Piano Plus footsteps and refurbishing them with some shiny new wood to make a wall shelf that’s perfect for holding small decorative pieces. 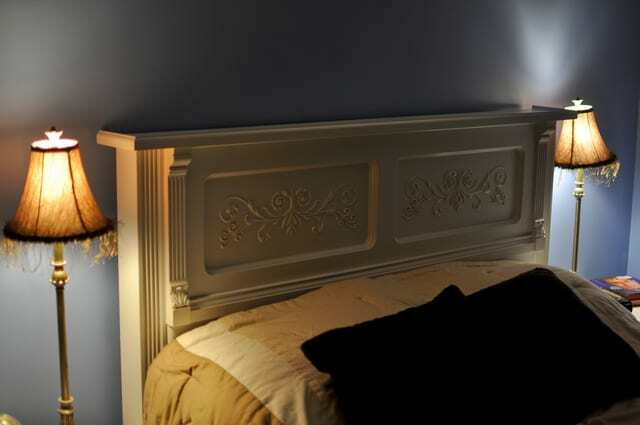 You can keep the decor simple because the shelf itself already looks great! 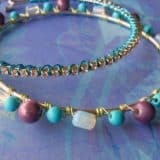 Recycled Things has a much more involved but very rewarding DIY project in mind, as well as a tutorial for how to do it! 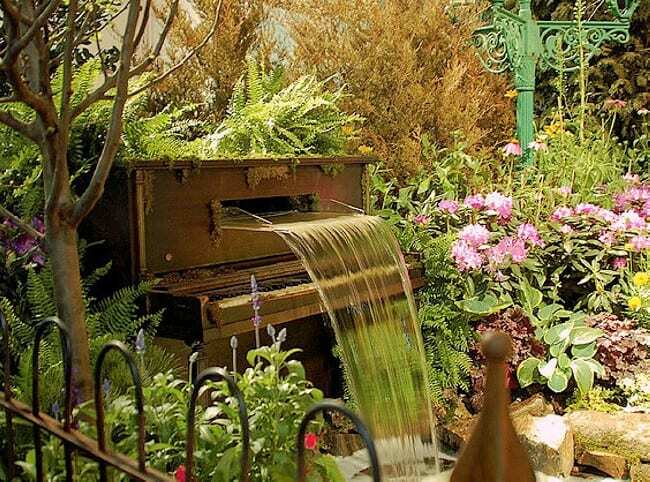 Add a musical touch to your very own secret garden pond area by turning the frame of a hollowed out piano into a water fall. 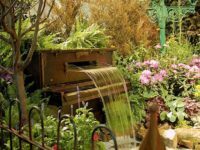 Do you have a rusty, old piano collecting dust in the basement? 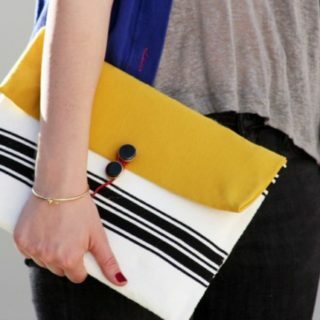 Maybe it is time to give it a new lease of life!